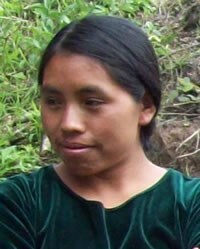 The Kanjobal are an indigenous Mayan group who have migrated from the mountains of Guatemala and who maintain their pre-Columbian language and culture. Many indigenous Mayans from Guatemala have immigrated to the United States in an attempt to flee war, violence and poverty in their home country. Large numbers of Kanjobal have settled in Southern Florida and in the Pico-Union area of Los Angeles, CA. Their primary language is Q'anjob'al, and their primary religion is a form of ethnic Mayan religion rooted in the reverence of their ancestors and spirits in nature. Mayan religion is expressed through traditional rites, customs, and worldview, and conversion to Christianity essentially equates to cultural assimilation. Some Kanjobal in the USA have worked hard to maintain their cultural practices and religion, while others seek to blend into the larger Hispanic or American culture. Pray for Kanjobal believers to boldly proclaim the gospel to their people. Pray for more workers for the harvest, both for the Kanjobal in the United States, as well as those in Guatemala and Mexico.